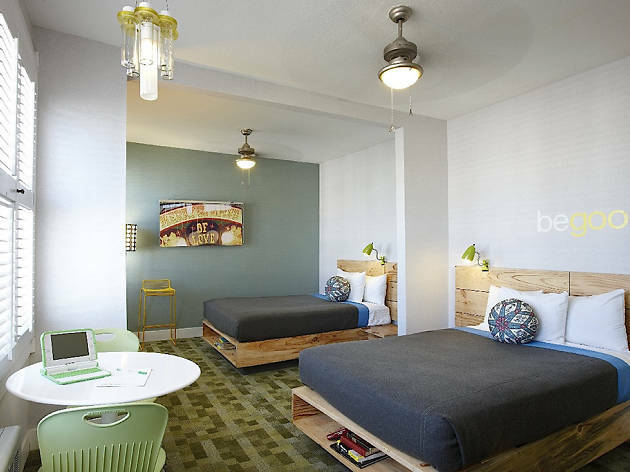 This simple hotel plays to an under-30 demographic, with a dorm-room aesthetic and an emphasis on green—salvaged-wood bed frames, fleece bedspreads made from recycled soda bottles, and repurposed-glass chandeliers. The look is playful, fun and decidedly non-generic. 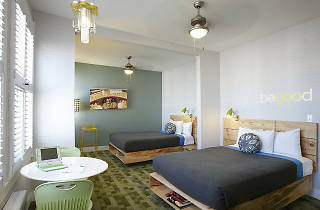 Most rooms are in a five-story 1911 building, converted in 2008, with multiple bed configurations, perfect for groups of friends traveling together. An adjoining two-story 1950s-era motel has rooms with air-conditioning; these are best if you have a car and want easy access to onsite parking. The in-between neighborhood can be sketchy, but it's generally safe, close to the Muni metro, and walkable to Union Square.